Are the North's skies finally too crowded for the adventurous pilot to create their own air space? A man walks into a bank and asks for $400,000. That's pretty much what Dave Sharp did back in 2010. Having tired of flying jets for Air North, he decided to start his own airline, Tintina Air, in the Yukon. But he needed to buy a $400,000 airplane first. And that’s what he did. Operating and living out of an old, borrowed RV he parked at the airport in Dawson City, Sharp woke up each morning and commuted 25 paces to work. He wasn’t sure if it was naïve confidence that convinced him he could do it, since success in the Yukon charter business is never a certainty. Sharp had to trust that his nearly 20 years’ experience in the region, coupled with a “little void” in the market for smaller charters, would ensure him enough business to pay the bills. The problem with bush work is it ebbs and flows with the seasons and the unpredictable mining cycle. A drop in gold prices, or bad weather for tourists, and Sharp could be sitting around for days with nothing to do. “You literally have to call yourself occasionally just to make sure the phone isn’t broken, or that you haven’t forwarded it by mistake or something,” he says. Striking out on your own has its obvious benefits: you get to be your own boss and determine your own hours. But it also means taking on large financial risks and dealing with the increasingly burdensome paperwork that weighs down every aspect of an airline’s operations. And then you’re taking off into a crowded sky. These success stories are what continue to draw independent-minded aviators to the North. But is there any room left for an ambitious pilot to carve out a realm of their own? 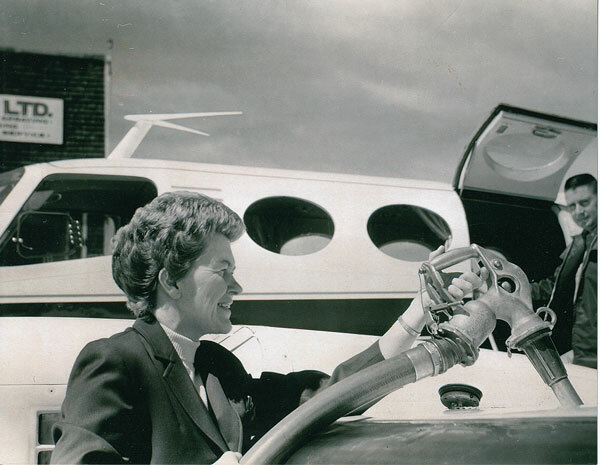 By 1970, Quick had left Saskatchewan to run her flying school full-time out of Yellowknife, where a prospective pilot could get their wings for $685, plus a $100 rebate from the Canadian government if they passed (add another zero, and then some, for how much it costs to get a private licence today). Single-engine floatplanes crowded the docks of Yellowknife Bay and Back Bay, with independent operations flying cabin dwellers, prospectors and hunters to the far flung corners of the territory for cheap. It was the golden age of Northern aviation. “It was fun, it was a great way to spend your life,” Quick, now 85, says. For one, a pilot spends as much time navigating paperwork as they do the skies. “At the end of the day you go, ‘Whoa I just wanted to deliver a few people to some lakes on skis and floats, I didn’t want to become a lawyer,’” says Dave Olesen, who’s been running a small mom-and-pop charter operation with his wife Kristen from their remote homestead at the mouth of the Hoarfrost River, in the East Arm of Great Slave Lake, since 2007. “Going flying, that’s the easy part,” he says. “You’re going through the sky, the prop is turning and life is good. But on the ground is when you have these ever-mounting reams of paperwork that have to be done, and documented, and re-documented and sent off.” Pilots don’t get paid for doing paperwork—they get paid when they’re in the air. More paperwork means that instead of coming home, cracking open a beer and turning on the hockey game, guys like Olesen come home with forms to fill out and insurance to pay. Ted Grant, who’s owned Simpson Air in the NWT since 1981, says the amount of paperwork required from operators has increased over the years. “When I first started here, when I put the first Twin Otter online it took seven days,” Grant says. “We had an experienced captain that had a couple thousand hours on a Twin Otter, we had engineers that worked on Twin Otters and engines, the components, so Transport [Canada] looked at that and said, ‘No problem.’ Boom, we got it.” Now, to get a single-engine airplane like a Cessna 185 in the air, says Grant, it takes five and a half months—despite the fact that he’s owned five of them and has more than 5,000 hours flying them. Gerd Mannsperger, chief pilot at Alpine Aviation in Whitehorse, will tell you the same thing. He picked up an airplane in Victoria in 2008, and found a minor crack in the exhaust stack during a pre-flight inspection. What could have been a five-minute weld took three hours: they had to call the airport authority, get a hot-work permit, and have the fire department attend the scene. Though the regulations are meant to make Northern flying safer, Mannsperger says that type of oversight generates huge amounts of costs by slowing them down, and “makes the whole business a whole lot less appealing.” To top it off, he says it doesn’t really encourage safety. Checking boxes and filling out forms can make a pilot feel like they’re just going through the motions, whereas Mannsperger encourages more practical training with his crews. The Paperwork might be more onerous today, but it certainly isn’t a new phenomenon. 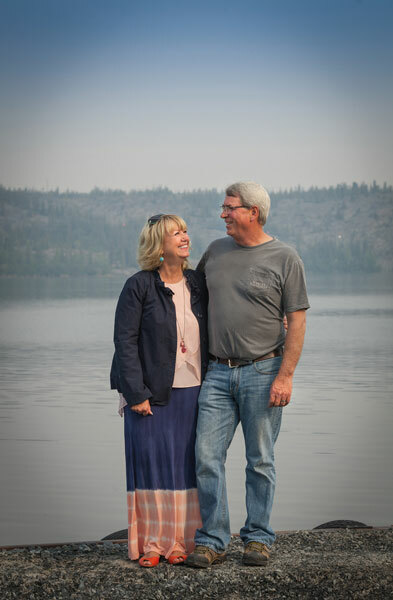 Even in the 1980s, everyone told Teri and Peter Arychuk, (co-founders of Air Tindi with Peter’s brother Alex and his wife Sheila), they were crazy to try and start an airline, what with all the regulations. To make it work, they say, the business has to become more than your job—it becomes a lifestyle. Tindi slowly amalgamated with some of the small charter companies on Yellowknife and Back bays, but when the mines started to get built they got rid of their smaller planes to service the diamond mines. Prospectors and cabin dwellers looking for single-engine Cessnas to taxi them out to their respective lakes in the summer would find a void in the Yellowknife aviation scene. Tindi moved on to larger aircraft like Dash 7s to service the big mines northeast of Yellowknife. It was a prudent business decision—they were and continue to be a major carrier for the mines to and from Yellowknife. In 2008, Tindi was also able to take on another large slice of the Northern aviation pie, gobbling multi-year medevac contracts the GNWT previously rotated between companies every year. Valued at $12 million per year, it allowed them to buy more aircraft, ensure a steady flow of revenue, and cement themselves further as one of the North’s main carriers. By then, smaller charters had faded away: Latham Island Airways, LaRonge Aviation, Ptarmigan Airways, Raecom Air, all disappeared from Yellowknife’s docks. Tindi was acquired by Discovery Air, which at the time was based in London, Ontario, in 2006. Big names like Canadian North, First Air and Air North dominate passenger business in the North today. But unlike other large airlines, Air North CEO Joe Sparling describes his company’s growth as “slow and plodding,” starting in 1977 with $50,000 and a single Cessna 172. As the company grew, they got into all kinds of different flying niches: from float planes, to flying school, to larger aircraft charters. “I think we operated at one time as many as 14 different airplanes with probably eight or nine different types,” Sparling says. The diversity of aircraft and range of business was difficult to manage, so Air North began focusing on scheduled service. They now own just two different types of aircraft, and most of their business comes from passenger service. The changing industry has rankled some of the old school bush aviators. Yvonne Quick says it seems a little more cutthroat nowadays—even though the competition was hot back in the bush days, with as many as eight different operators on Yellowknife’s docks fighting for jobs, “It’s not the same,” she says. But the Arychuks say their move into larger aircraft was less them changing the face of Yellowknife aviation as it was Air Tindi adapting to a different landscape. Their business reflected the environment they were in. With land bought up by the diamond mines, the real money was coming from companies such as Diavik and De Beers running their workers out to camps in larger aircraft. To keep their business afloat, the Arychuks didn't have much of a choice. Is there any room left for the independent pilot? It depends where you look. Gerd Mannsperger started Alpine Aviation in 1997, after travelling to Canada from Germany and learning to fly in the Yukon. 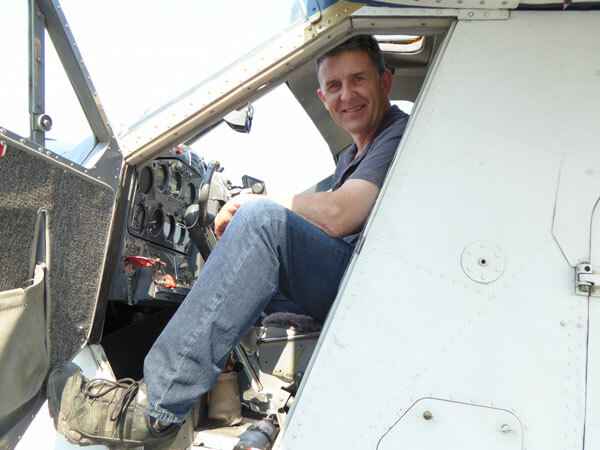 Flying was a passion for Mannsperger, and after Action Aviation, the company he flew for, closed up shop during a downturn in the mining industry, he decided to begin his own operation. He knew he wouldn’t get much competition from bigger companies—in the Yukon there’s only a small pot for small bush aviators and the rest goes to passenger flights in between communities and down south, a market Air North pretty much has cornered. That leaves room for a few small-time float and ski plane operators to fly under the radar. So Mannsperger and his small operation kept almost exclusively to tourist charters—taking folks out on hunting, fishing, canoeing or hiking trips. They also do a lot of government flying for the Department of Environment. Mannsperger’s doing what few bush charters tend to do—turning down certain types of work. Many operators diversify as much as possible, ensuring a steady flow of revenue by taking whatever jobs they can (especially juicy mining contracts), but he’s been able to make contacts in the tourism community that have sustained his business, while avoiding the fickle resource industry. So far, it’s working for him. While the remnants of the old bush days might be hard to find in Yellowknife, a new generation is emerging. Pilots like Peter Palme with Open Water Charters (see page of 38 of Up Here) are just getting started with their small charter businesses, and though fewer in number, it would seem the bush pilot business is alive and well. In fact, the Arychuks say they’re thrilled to see the entrepreneurial pilots out there. “It’s not as crazy as it was back then, but there’s definitely always going to be that niche for it. We’re quite excited for them,” says Teri. Peter and Teri seem almost relieved that Air Tindi didn’t kill the bush scene in Yellowknife, though other veteran aviators like Ted Grant believe it’ll take more than big consolidations to stomp out bush aviation in the North. Over in the Yukon, Dave Sharp's phone is ringing plenty now. He lives in a suburban house and drives to work in Whitehorse. His company has seven aircraft, including a Cessna Citation II jet, and five full-time employees. Meanwhile, the Arychuks help their sons Ryan and Travis with their businesses—Private Sky Aviation and Fuel Flo Logistics. Most of the flying Peter does now is for fun.